Welcome this new luxury item to your home to add some excitement and glamour. Our Chic Floor Lamp is the perfect piece to make a statement in your home, with its all-over glass and diamond like strips you will definitely be turning heads. 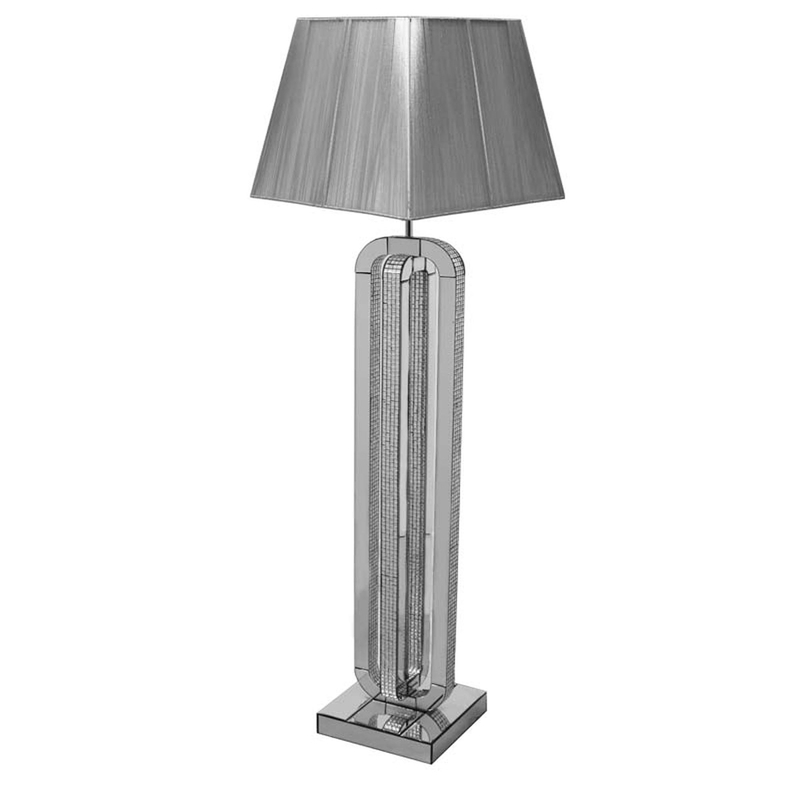 This stunning floor lamp is also made from silver mirror with bevelled edges, mounted on MDF frame. Be ready to impress with this elegant chic piece.